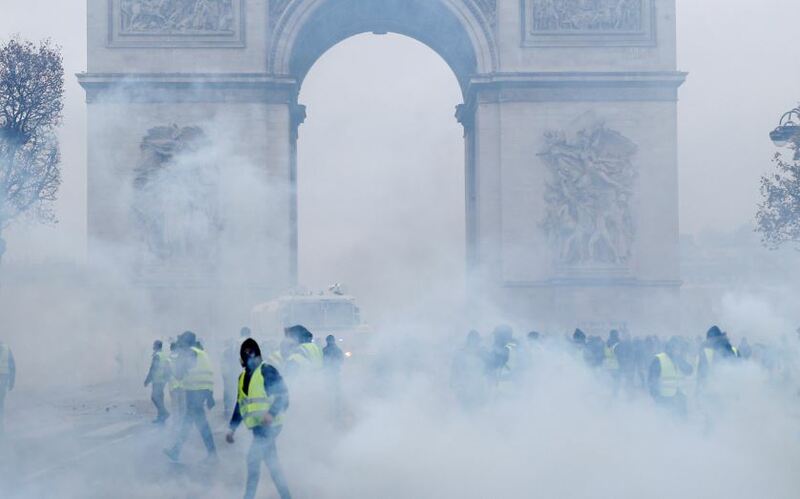 The mass movement against French President Emmanuel Macron’s move to increase gas taxes was started by one person who wanted to hold the government accountable for making life tough on every day citizens. France’s steep taxes on diesel fuel and other forms of carbon is making life miserable for those who rely on vehicles for work, according to Priscillia Ludosky, a French citizen who lives in the country’s rural areas. She is also responsible for starting an online petition in May protesting gas taxes. The petition garnered more than 800,000 signatures between the months of May and November. Ludosky’s decision to act likely stemmed from the nearly $170 per month she is forced to spend on fuel to travel into Paris for business. It appears many of her fellow citizens are in a similar situation. Protesters associated with the so-called Yellow Vest movement – which is made up of left-wing and right-wing populist elements – have effectively turned the country upside down. Paris police say at least 110 people, including 20 police officers, were injured in violent protests over the last two weeks. Gas prices are to blame for much of the turmoil. France’s belligerently anti-oil tilt is not unusual for Europe. Denmark’s government, for one, presented a plan in October to ding all such vehicles by 2035, which is designed to curb combat climate change. Macron also issued a freeze on any new oil and gas leases in 2017 and intends to ban all oil and gas drilling by 2040. Ludosky wants the French government to listen to her and take a different approach to tackling climate change. “Too often the government forgets that it works for citizens,” she told a local French media outlet in November.